The Entries we have visited over the past few weeks were once part of the town’s waterfront streets. They ran between warehouses and on down to the quayside, an area that was destroyed by an intense German aerial assault in the Second World War. 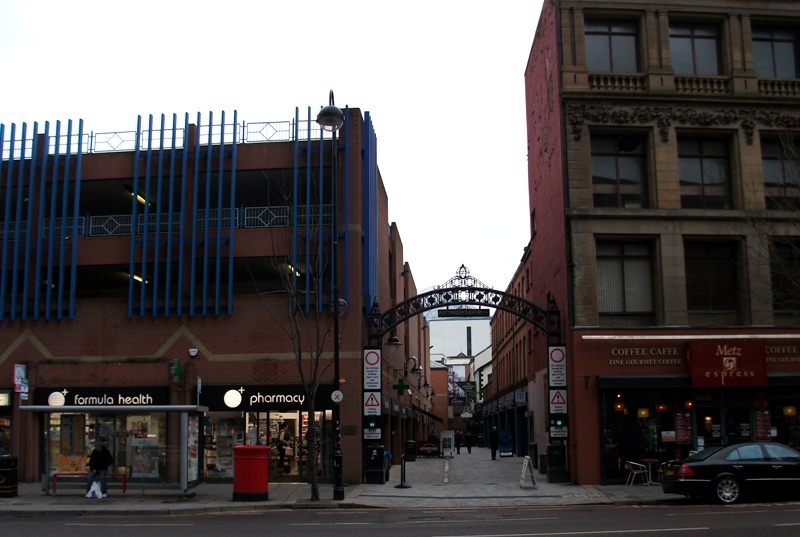 In 2006 and 2007, along with a number of the other Entries environmental refurbishment was carried out to improve their condition. 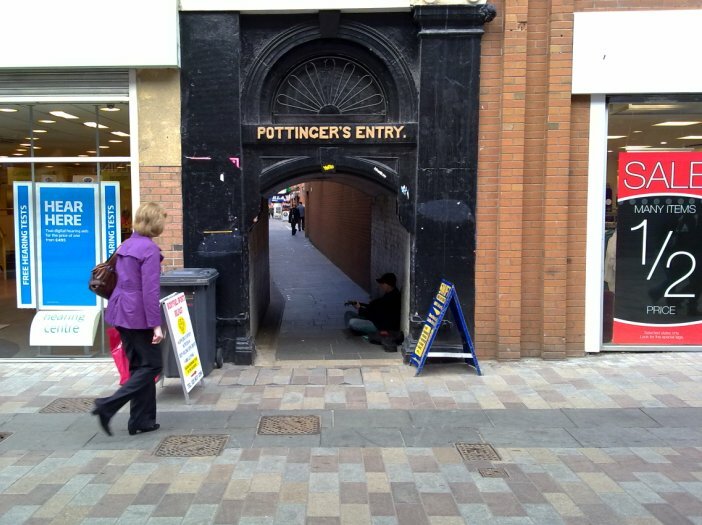 Pottinger’s Entry connects Ann Street with High Street in an almost straight line. Today the Entry provides good acoustics for guitar-wielding buskers. The small alleyway is also home to some independent shops but the principal attraction is a refurbished Victorian pub called The Morning Star. 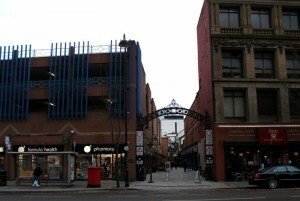 The arched entrance from Ann Street is Victorian and was retained when the original building was demolished in the 1990s. 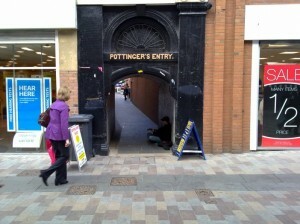 The Pottinger Entry is named after the first governor of Belfast. He had five sons. When the family were hit by financial difficulties, the five brothers were sent out to the East to seek their fortune. One of the sons, Sir Henry Pottinger joined the British East India Company in 1806. He was just a lad, and in 1809 fought in the Mahratta war, as a lieutenant. He later explored much of the land between India and Persia and became Resident Administrator of Sind in 1820; later he held the same post in Hyderabad. Created a baronet in 1841, he negotiated the Treaty of Nanjing in 1842 successfully negotiating a treaty to end the Anglo-Chinese Opium War. He went beyond Whitehall’s instructions to claim Hong Kong as a crown colony, but was rewarded for his initiative by being named as its first governor. The governorship of Madras followed in 1847, and in 1851 he was promoted to the rank of lieutenant-general. He died in retirement on the island of Malta, in 1856. This entry was posted in Ireland on February 11, 2012 by Grannymar.